Our three bedroomed 'fermette' has been updated with modern comforts but retains the traditional charms of beams, Godin stoves and ceramic floors. 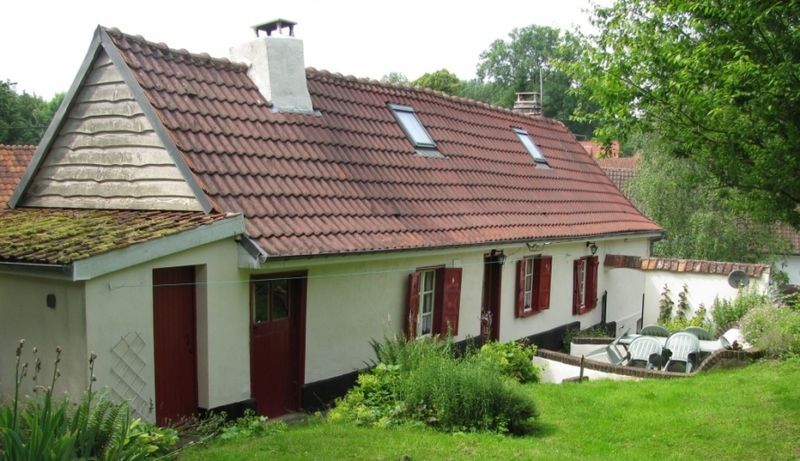 If you like houses with character and a homely feel, we think you will like no 2 chemin vert. Our cottage is set in unspoilt countryside on the edge of the Seven Valleys, a beautiful area at any time of year but particularly so in the warmer months when every town and village is ablaze with flowers. We are close to places of interest for both adults and children. The area is full of history from the mediaeval battlefields of Agincourt and Crecy to the more recent ones of two World Wars. Children will love the beaches of the Cote d 'Opale and particularly the steam train ride around the Baie de la Somme. Gouy itself has a population of only 170 but with its own school, town hall and lively Salle des Fetes (village hall). The residents are predominantly French and extremely welcoming to visitors. The village is about 10 minutes drive from the small town of Frevent and about 15 minutes from the larger town of St Pol. Hesdin itself is about 35 minutes away. There is a good selection of supermarkets, restaurants and bars in both Frevent and St Pol. A mobile shop selling bread and other basic food items visits Gouy most weekdays. Our cottage stands on a corner, next to a field where rabbits, hares and other small wildlife abound. There is little daytime noise apart from the occasional tractor or the peacocks and other animals on the nearby farm and only the owls at night. Here the absence of neon means you can stargaze to your heart's content. Our cottage and garden are on three levels with one step between kitchen and sitting room and two steps between living room and lounge. The garden has short flights of steps from the parking area and within the garden itself.